This is how I took my painting to professional levels. This method will help you too. Or maybe you want to give painting a go for the first time? But how to improve your painting or do you think it is too late to start? All of these doubts can put a damper on your desire to express yourself. But it does not have to be this hard! What if I told you that you are an artist. That you can start painting TODAY and make rapid improvement too? Not sure? Here is a little little story that may help: There was a professional guy working office hours. The usual daily grind! He also had a compulsion from an early age to paint, You could tell by the doodling on his deskpad that art was in his soul. But like many frustrated artists he waited until later in life to take the plunge and paint. Painting was not viewed as a desirable career choice (what's new?) so he did not consider art as a professional option. All that changed about ten years ago. Call it a mid-life epiphany, but he knew that he had to paint regularly to improve his painting dramatically. He also had to study painting with focus and commitment. This covered theory and practical work. Although he painted since school days it was a new focus and commitment to learn as much as possible that gave him massive results. He understood that it was also the type of lessons that he studied that would improve his painting to professional levels. He knew that doing the incorrect lessons over and over will not help! With this in mind he studied with professional artists, read books from master artists and put these lessons into practice. He did not look back! His painting reached new levels as the mystery of painting revealed itself to him. Suddenly people were loving his work. Many began to collect his paintings. He dared to dream - was a career in painting really possible? It turned out that it was. That story, if you have not guessed already, is my own. I knew that a structured painting course teaching the fundamentals of powerful painting would be more helpful than simply watching a painting demonstration. Watching demos are fun, but without understanding the basic structure of a painting and WHY an artist should do certain things - well there would be little benefit. This understanding led to the creation of my course Learn To Paint With Impact. This course is designed to teach the beginner and intermediate artist who wants to make rapid improvement in their painting. If you love painting, but feel that your paintings are not grabbing the attention they deserve, do not have that professional look or are simply not expressing your feelings about the subject - then it is more likely that the fundamental structure of powerful painting is missing. 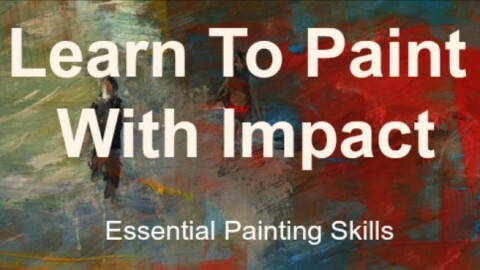 Learn To Paint With Impact will help you correct those shortcomings! Full demonstrations, lessons and notes for further study make it easy for you to learn with focus while enjoying your painting results. All these mediums will benefit from the fundamental painting lessons offered in this course. It is also a course for beginners who are not sure what medium they prefer. Over 7 hours of content, video demonstrations, notes to download and instruction to help YOU add impact to your painting. Join me and other satisfied artists on this five star rated course today! Would you love to start a painting course, but are you worried about the cost? What Would a professional art workshop cost you? A comprehensive week-long course from a professional artist should cost from $500.00 to $1000.00 for tuition alone. Add to this your travelling and accommodation costs and you could easily double that. Then your time away from home and other commitments can be stressful. What is great about this online course is that YOU save all of this expense. You save time, money and learn more in YOUR own time! 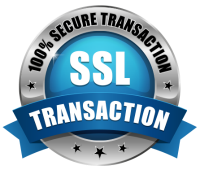 For your peace-of-mind you get a no-quibble money-back guarantee. But You Can Save 15% off the usual price right now. To seize this opportunity click the enroll button below!